I am afraid of heights. As in, cry like a little baby, afraid of heights. I used to attend Trent University, which has a bridge that is fairly high, and I would cringe to walk across this, especially during the winter. Terrified. Of. Heights. This little background blurb was necessary. Why? In order for you all to understand the insanity that I took part in a few days ago. I decided to face my fears head on, with onlookers able to experience my raw emotion. 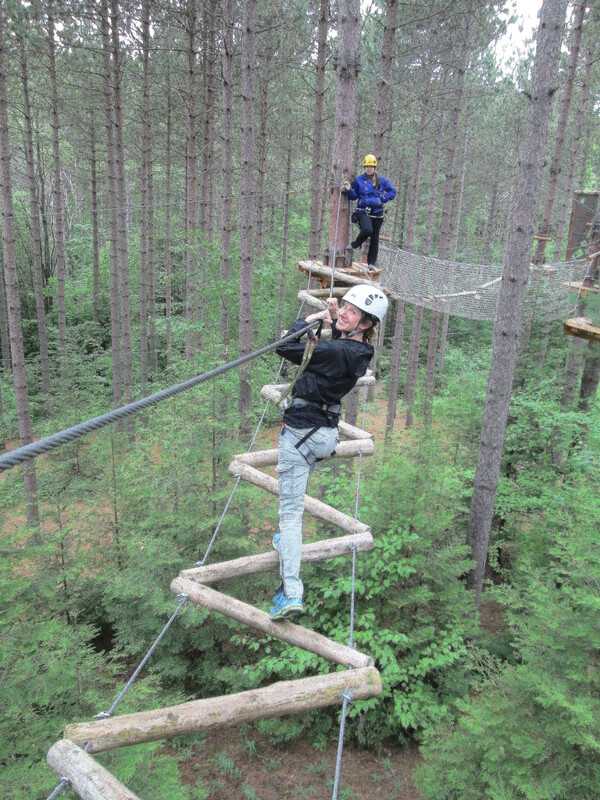 I went Treetop Trekking in the beautiful Ganaraska Forest. 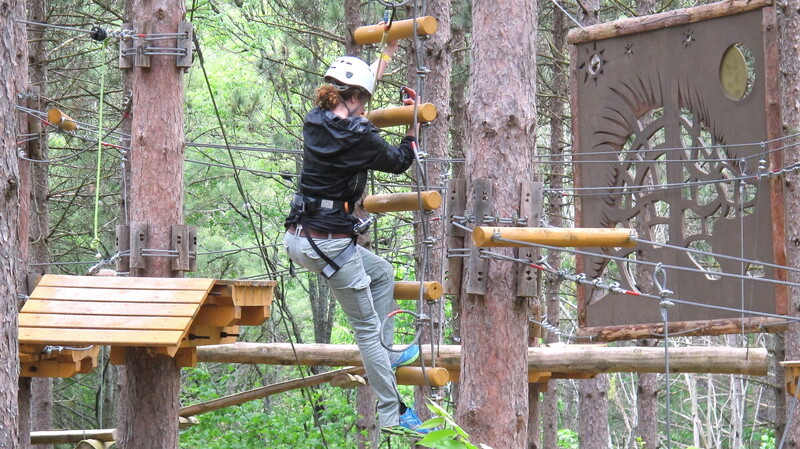 This activity included climbing, using ladders, and ziplining. Now, this was no small feat. 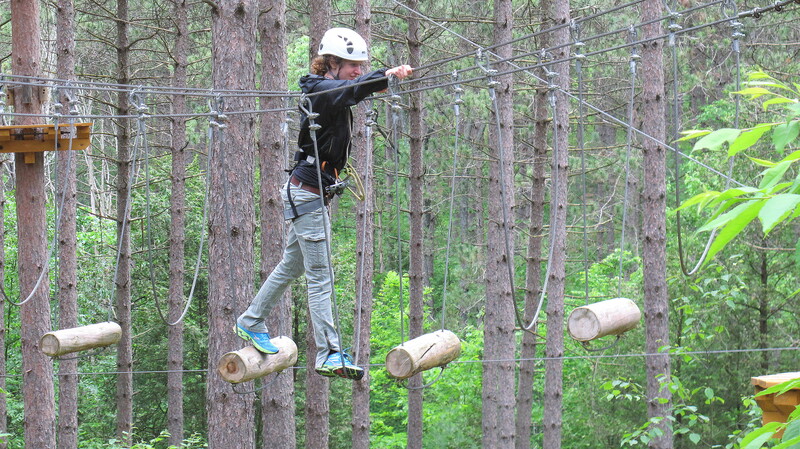 However, by the third obstacle course, you stop thinking about how high you are off the ground, in the gently swaying trees. You think about how much fun it is, how much upper body strength is needed, the new challenges ahead. By the time three hours was over, I couldn’t believe what I had accomplished. I left feeling challenged, but proud and capable. I always try to do at least one thing a year that relates to my fear of heights. I am so, so glad I did. In addition, I highly recommend you check out Treetop Trekking – it would be amazing as a party or even a work, team-building exercise. What are your fears? Do you try to challenge yourself by facing them?